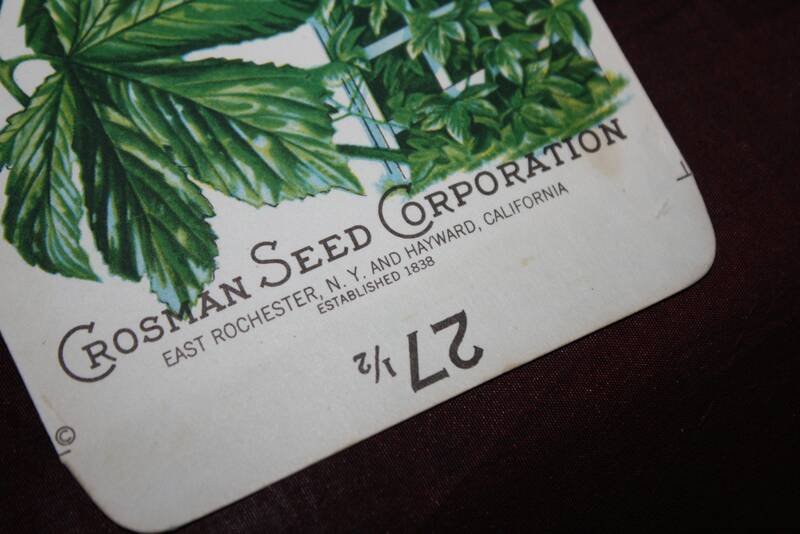 Here's a scarce, never-used, vintage seed packet from the Crosman Seed Co. of East Rochester, NY. 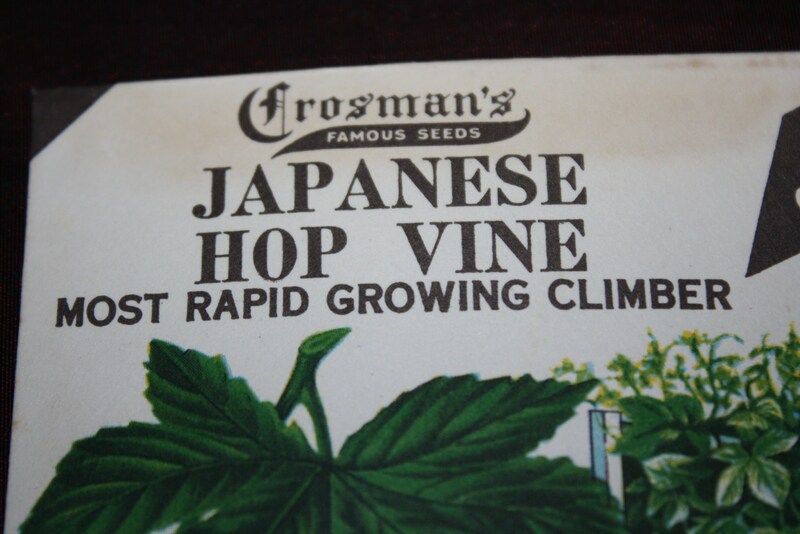 It features a colorfully detailed lithographed image of a Japanese Hop Vine. 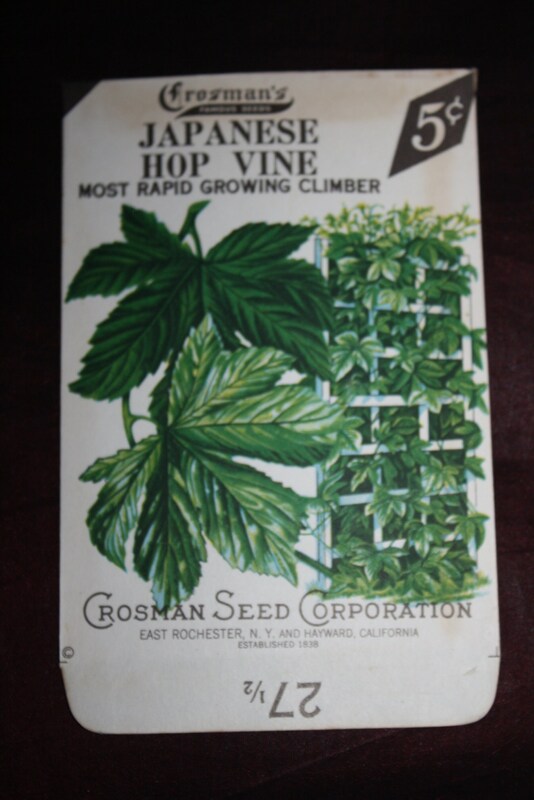 This is new old stock 5 cent seed envelope, the entire packet, not just the front. 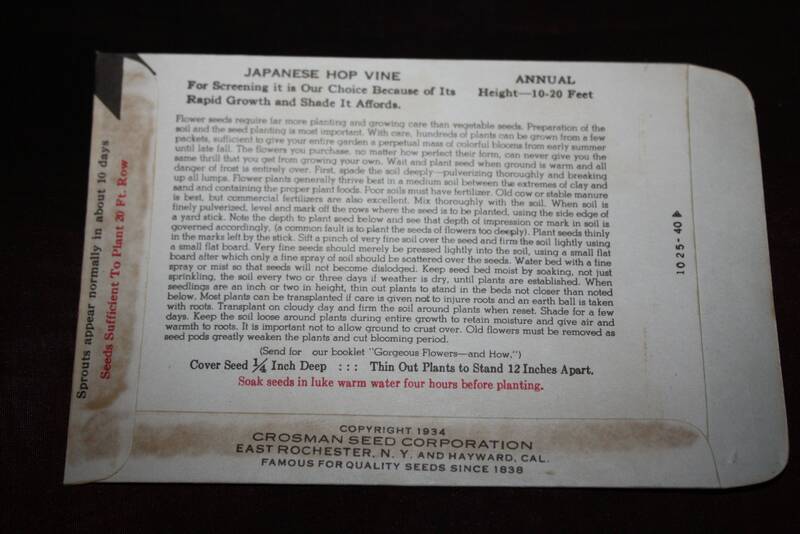 The reverse side has detailed directions for planting and is dated 1934. 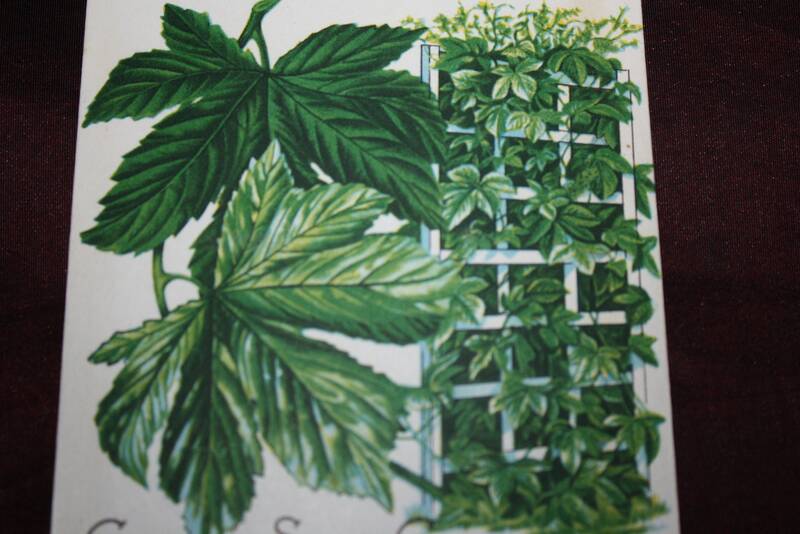 It is in very good condition and does show a little age. There are no tears or pieces missing. 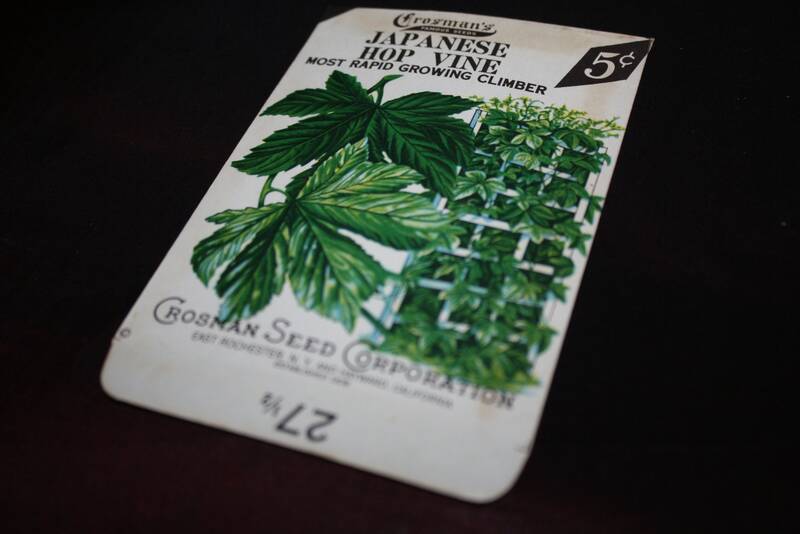 Old packets from Crosman Seed Co are very hard to find. Looks great when framed and matted. 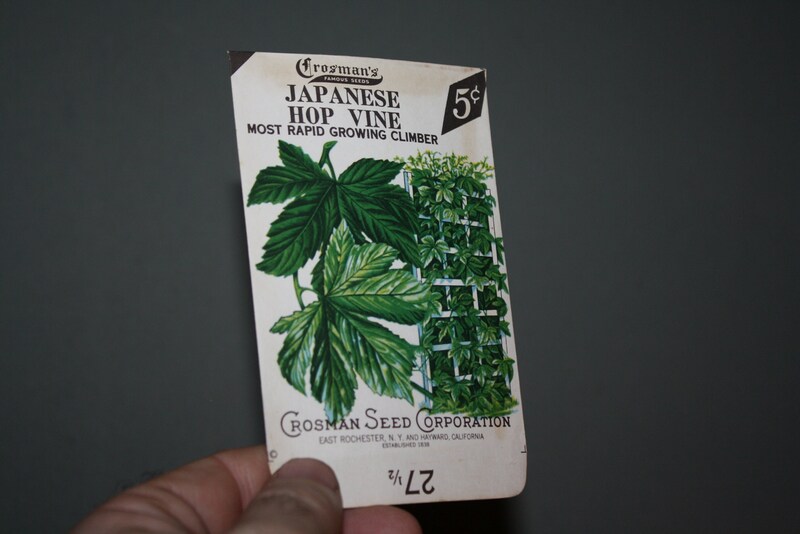 You'll likely only find this with us! Here's a chance to add it to your collection at a very good price!